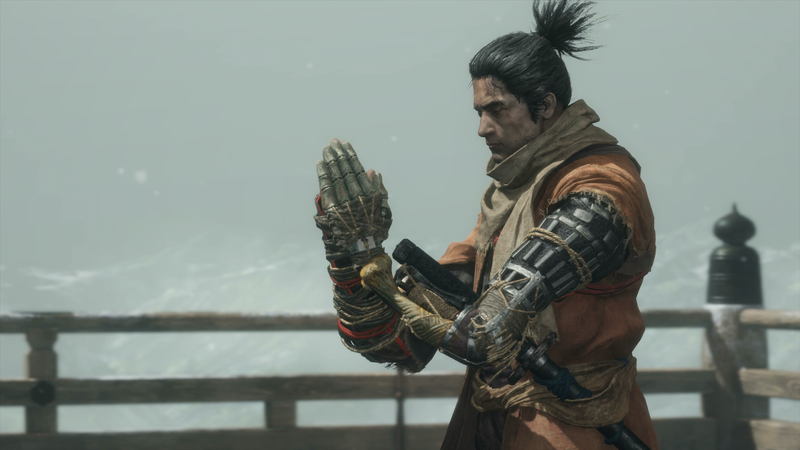 I finished Sekiro: Shadows Die Twice earlier this week and had a fantastic time learning its combat and tackling challenging bosses. I’m eager to play more and if I want to, I could start right over with New Game Plus. Taking that plunge, however, has me wondering about the experience I’ll have. If the joy of Sekiro comes from overcoming challenges, will I have the same satisfaction now that I know what lays in store? Sekiro’s one of the best games I’ve played in a long time, each new pathway revealing interesting secrets or leading me toward exciting swordfights. Even though I chimed in on the comments of my Kotaku colleague Joshua Rivera’s article yesterday about easy modes to say that I think it would be fine for Sekiro to have one, it’s also the case that, for me personally, the appeal of a FromSoftware game has always come from stumbling against difficult challenges and eventually overcoming them. I clashed against the final boss for a little over a day before I finally beat it. I even streamed some of my attempts live on Kotaku’s Twitch channel. When I finally overcame the challenge and finished the game, the feeling was euphoric. So euphoric that I can’t wait to play again. But as I sat down at the sculptor’s idol in the Dilapidated Temple, I paused. This is partly because there are still some lingering tasks left for me in the world. My initial playthrough was comprehensive—I got the somewhat hidden “Return” ending—but that doesn’t mean there’s nothing left for me to wrap up. I still need to talk with Hanbei again and put an end to his story. There are a handful of items and upgrades that I could buy and carry into my new playthrough. And although I already took down a majority of the bosses, I know there are some rogue Headless and mini-bosses out there in the world that I could hunt down. It might be nice to head into a new playthrough only after gathering some of their prayer beads and upgrading my stats, even if FromSoft’s New Game Plus experience scales enemies to keep things difficult. Still, as I sit here, looking at the game on my TV, I keep thinking about what made Sekiro and, by extension, all FromSoftware games appealing to me. There’s some lightning that I can’t put back into the bottle—the excitement of discovering the game’s challenges for the very first time. Part of what I really loved about Sekiro was learning to grasp its combat system. It’s not too complicated, especially now that I understand it, but in my first time playing through the game, I experienced the satisfying process of going from newbie shinobi to veritable parry-queen. That learning experience is part of what made Sekiro so intoxicating to me. Going into a new game having already flexed those muscles means that a certain degree of challenge will be gone, as will the learning experience I loved from before. I’m excited to tackle old challenges with the benefit of my improved skill, but it definitely won’t be the same. I’ll also have greater knowledge of the world’s layout and won’t get to enjoy the process of getting lost and stumbling into new surprises. I’ll be able to explore more confidently, and Sekiro’s world has enough branching paths that I won’t completely recreate my journey from before. Still, though, I won’t be as surprised by vistas or baffled by new enemies. Once you know a thing, some of the initial magic is lost. And while I am sure I’ll still love playing Sekiro, it’s definitely going to lose some of that mysterious luster. All that said, I’ll almost certainly start my second playthrough this week, but I can’t help but notice my hesitation to hit the X button on my controller and simply go for it. Sekiro’s different now. In a game built around learning and exploration, having knowledge radically alters the experience. Still fun, still sure to challenge me from time to time, but different. That’s fine, but maybe I’ll take a little break before starting things up again.